Stop the Ebola Domino Now!!! 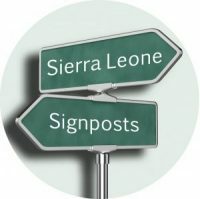 The Ebola hit countries, Sierra Leone, Guinea and Liberia, with support from external partners are engrossed with the urgent and complex issues relating to adequacy of the resources, preventing infection and saving lives. Sadly the coverage of the Outbreak by the international media has inadvertently produced the perception and mischaracterization of the region as a no-go area. There is therefore a growing stigmatization of nationals and travellers, and goods and services to and from the region. The evolving nature and form of this could have disastrous economic consequences that go way beyond the sub-region, and could return the three countries to poverty levels prevalent during the earlier conflicts and periods of instability. All three countries plus Nigeria must take a concerted action now to nuance if not change the image of the region as being a no-go area. And in this they need the support of the international community. There is insufficient emphasis and clarification on the methods of transmission of the disease. The prevalent impression is that it is easily transmitted as in the case of influenza. In fact it is transmitted through bodily fluids (similar to HIV) and is not contagious unless the patient is displaying symptoms. This explains, partly, why Ebola occurred three times in Uganda but did not deteriorate into an epidemic. In the case of the current three countries, failure to contain the spread was due to weaknesses in the health system; and this is now being addressed. Worse some statements by WHO including publicly warning that Kenya was at high risk of transmission because of flights to West Africa tended to feed the hysteria and had very damaging consequences. Tourists responded by canceling trips to Kenya and countries as far away as South Africa. Kenya responded by cancelling flights to the affected countries. The suspension of flights to and from the region feeds into the media-generated hysteria. There is hardly any mention made of the steps taken to prevent the spread by the potential carriers before travelling, including through taking the temperature of all exiting travelers. With the exception of Nigeria, there has been no other case of infection by others of carriers from the sub-region: suspected cases have proved negative.Yet some airlines have cancelled flights and reportedly, Cote d’Ivoire has imposed a ban of ships berthing in any of the ports in the affected countries unless 21 days have elapsed. Governments of the three countries plus Nigeria should act now in changing the image created by the media including social media, and should not shy of getting support from major news channels for this. We have all seen the clear sign of stigmatization on the nations hit with this deadly ailment Ebola. This ailment by far has been badly and awfully reported to the audiences by our own journalist creating a sense of fear and panic disdaining those affected countries already suffering from economic growth. This ailment has nothing to do with baning of flights and travel cancellations, a clear effort to combat this Ailment is the measures the WHO is implemented by screening passengers at boarders. Let’s take a look at the man who entered Nigeria with the virus he was in a plane with many others but doctors treating him suffered the ailment why is the people on that particular plane didn’t come to have the virus yes I ask though I did hear nothing about the other passengers but doctors and nurses who came into contact with the man but not people on flight with him. I believe if care or the international community do not do something about this, national hatred will raise causing much fatality than Ebola virus. The WHO has come out to say baning of flight to and fro in countries is not necessary but rather proper vigilance at boarders and airport to eradicate this ailment at the quick possible time, people have to go on their daily jobs and activity with the education from the media but not causing panic. The leaders in government should rather use the media to educate the public not to cause unnecessary panic and economic strain on public in time of emergency total calmness is needed by authorities to curb the situation not increasing the panic for the same to fall into that same issue you are afraid of. Now good leadership is needed not one that created stigmatization on others. The Sierra Leone Telegraph, in their latest edition interpreted my post as calling for a Media War, and that I believe “the war on Ebola must be won in the media”. I would normally be amused if matters were not so tragic. Although a pacifist, I throw out a challenge to the SL Telegraph to devote the next edition to challenging the image, now rapidly gaining ground, of the Ebola-hit countries being a no-go area. Set aside the politics for now. Wata wan pass flour!